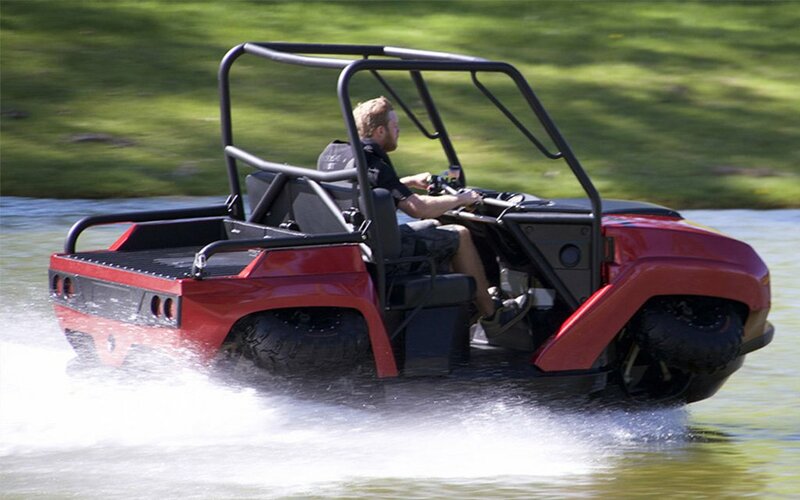 Will coastal golf carts be, whether out of necessity or novelty, amphibious one day? 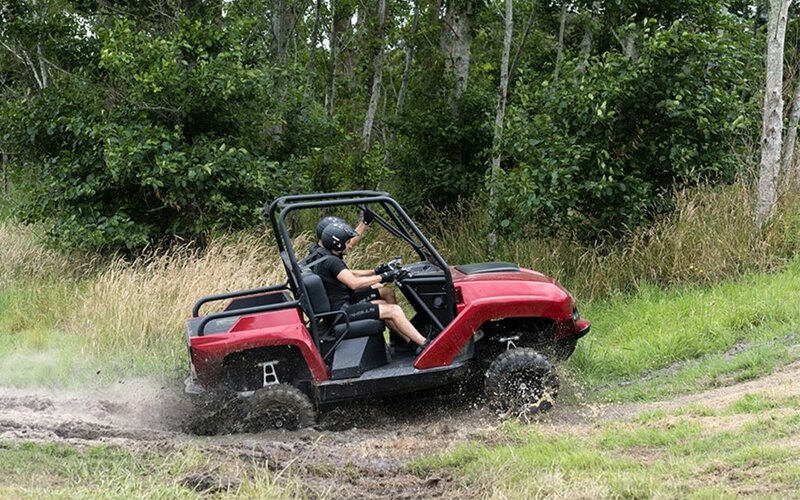 A thought we couldn’t help wonder while watching footage of the Terraquad from Gibbs’ Amphibians in action. If anyone can make this concept work, it’s Gibbs. 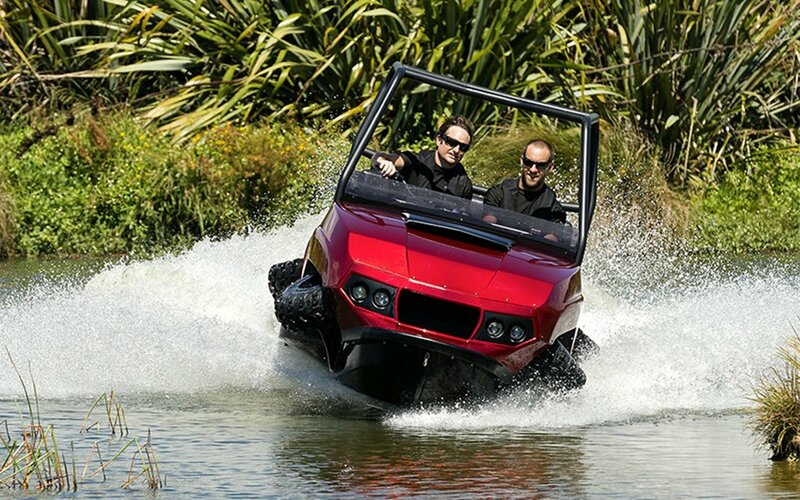 They successfully piloted the first legal amphibious craft at over 30 MPH at sea and average speeds on land. 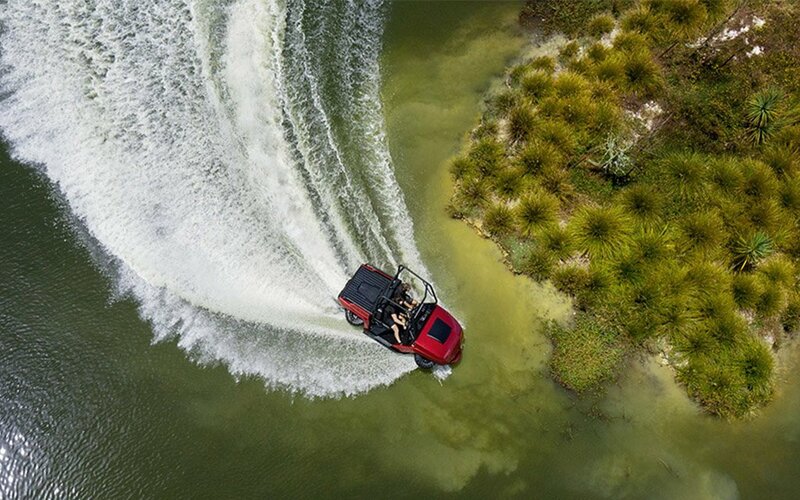 The Terraquad is even faster, though: on land you’ll get 50 MPH, and in the water, where it’s powered with Gibbs’ own custom jet-propulsion system, you’ll get 45 MPH. A 15-gallon fuel tank probably goes a long way in this little rig, but still, don’t fail to pack extra when you’re at sea. No sign of a rudder on this thing. 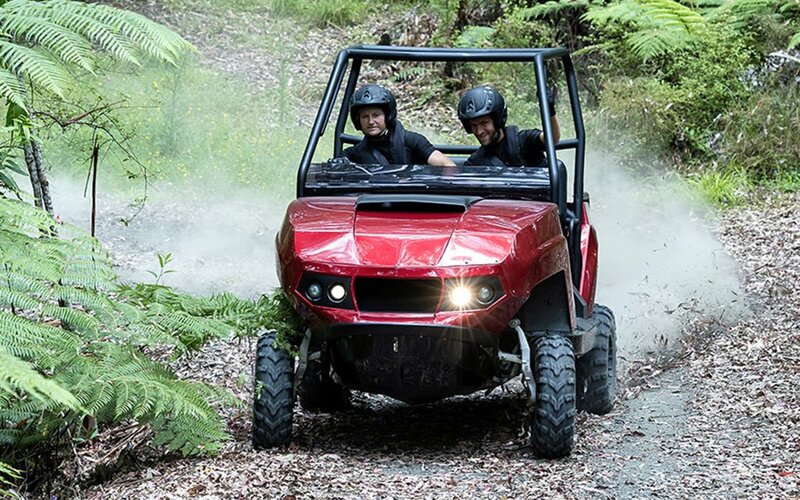 The two-seater vehicle has roof bars, a rear-load deck and takes just a few seconds to convert between wheels out or tucked away. It’d be the perfect little rig for zooming between holes. 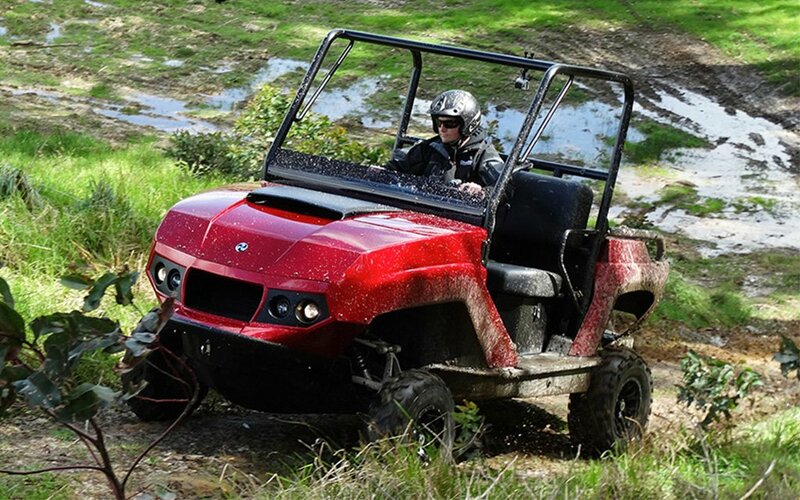 One thing, though: where your average golf cart packs about 10-12 HP (and usually governed), the Terraquad has 140. You also probably have yet to see a golf cart outfitted with marine navigation-grade lighting, but that’s just a guess.